The ATV arch is a tough, light structure designed to move logs. It is easy for one man to use. It can be used behind an ATV, Gator, riding lawn mower or pick up truck. 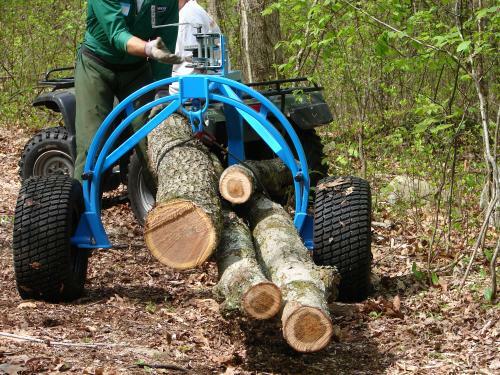 The ATV arch has an effective "reach" of 5 feet allowing it to pick up logs up to 10 or 11 feet in overall length by their middle or drag just the tail end of longer logs. It is also effective in hauling logs 20 feet or longer with minimal tail drag. 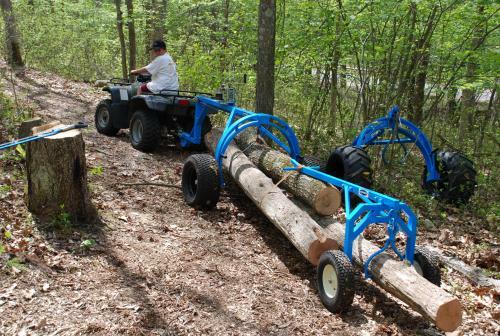 Where longer logs need to be moved with no disturbance the Junior, Mark 7 or Fetching arches can be used as a tag axle to fully suspend the log. 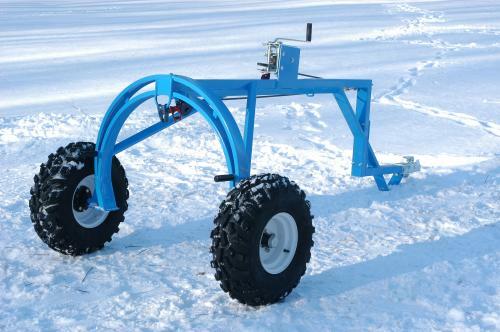 The ATV arch comes equipped with a 3200 lb 2 speed hand winch and a 3/8" choker cable. 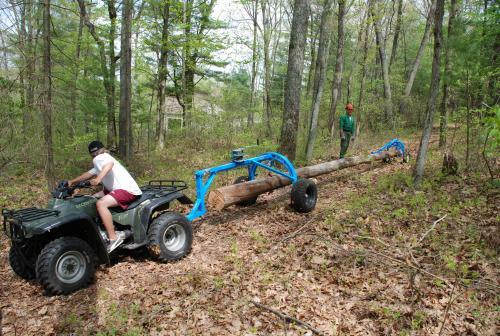 The winch line can be used for large single logs or multiple smaller logs. The official manufacturers of aluminum handled logging tools and woodworking tools like cant hooks, log peaveys, timber carriers, hookaroons and logging arches. Copyright 2004 LogRite® Tools. The innovators of aluminum handled logging tools. All rights reserved.